Lifetrenz Hospital In-Patient (IP) module is highly configurable and automates all the processes related to In-Patient services in your hospital, as per your workflows. 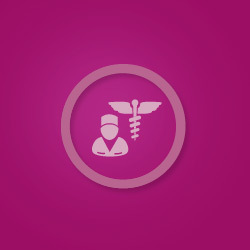 The In-patient solution integrates all the processes for In-Patient care from Admission to Follow up to Discharge. It has Admission Discharge Transfer (ADT), Inpatient Electronic Health Record (EHR) and Hospital billing functionalities incorporated within it. The In-Patient system is built as per Indian and International EHR Standards, is patient-centric in design and dynamically ensures that the patient�s clinical and billing activities are reliably and accurately carried out. The system has a provision to admit patients directly from out-patient or the emergency department of a hospital, with all the accompanying admission orders flowing in along with the patient�s EHR. Lifetrenz Hospital In-Patient is well integrated with modules such as Operation Theatre, Laboratory, Radiology and other allied services which are associated with patient care in a healthcare organization.